COOK sells quality ready-meals. We are guided by our founding statement: to COOK using the same ingredients and techniques you would at home so everything looks and tastes homemade. New mums and dads, you can get 10% off the entire COOK range for six months. 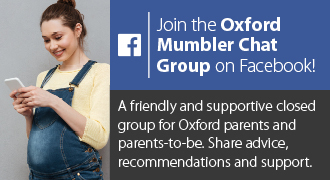 Mention MUMBLER and get a 10% discount on your first 8 week block of lessons! Puddle Ducks offer swimming lessons for babies to children age 10. At Puddle Ducks, our highly trained and qualified teachers are experts at identifying children’s levels of ability and adapting activities to the individual, nurturing confidence and encouraging natural ability. See here for more info about Puddle Ducks in Oxford. FREE baby footprint tile for all babies under six weeks!